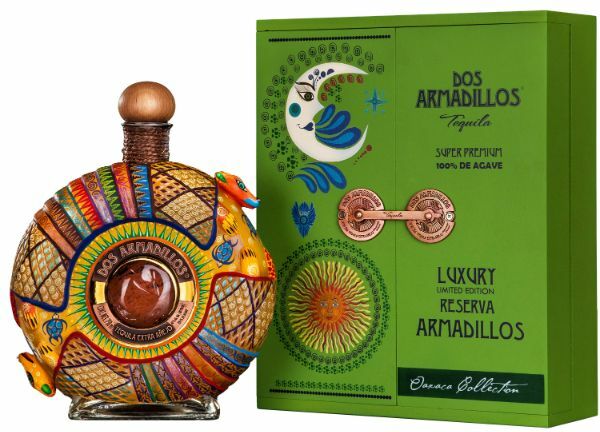 This ultra premium tequila is made from the finest 100% blue weber agave from Amatitan, in the heart of Jalisco, Mexico. Our blue weber agave is matured for at least 8 years to ensure an optimum sugar content resulting in better flavor, quality, and consistency. Handcrafted artisan bottle, shielded in clay using a burnished painted clay technique with an obsidian center, bronze metal labels, natural cap, and with a henequen agave-styled neck. "Luxury Hand Painted Edition"
Color: brilliant, crystalline, golden yellow with gold highlights. Aroma: elegant fruit preserves like pear, baked apple and banana, with a powerful touch of cooked agave. Flashes of spice such as anise, and barrel aromas of vanilla, maple, walnut, and chocolate. The wood tone is delicate. Taste: The palate entry is silky and, sweet, leaving an aromatic trail of fruit preserves, vanilla and caramel, with a pronounced and lingering finish. The best aromas develop when left to breathe in the glass for a while.